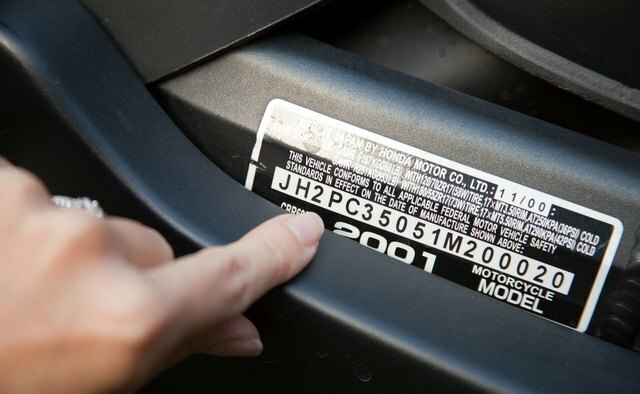 Have you ever noticed the string of numbers and letters printed on the side of your Honda CBR, Valkyrie, or Shadow and wondered what they meant? 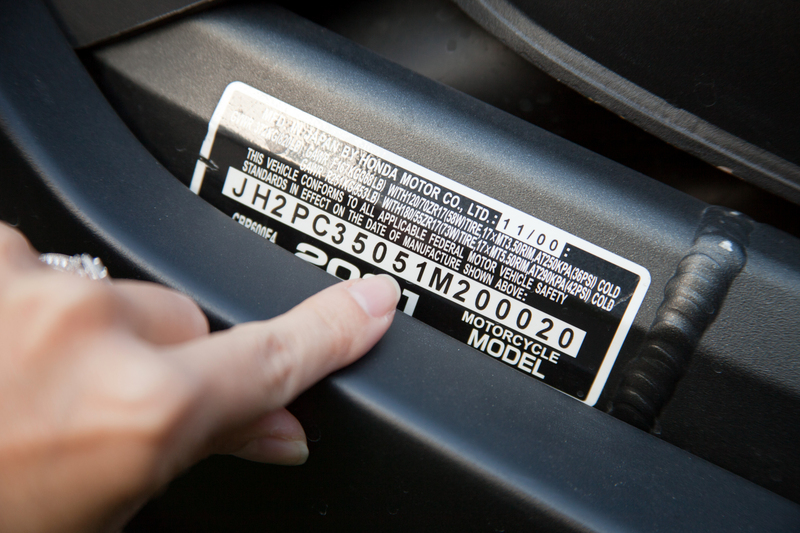 Likened to the DNA of the motorcycle, these Vehicle Identification Numbers (or VIN) have appeared on every vehicle manufactured since 1981. 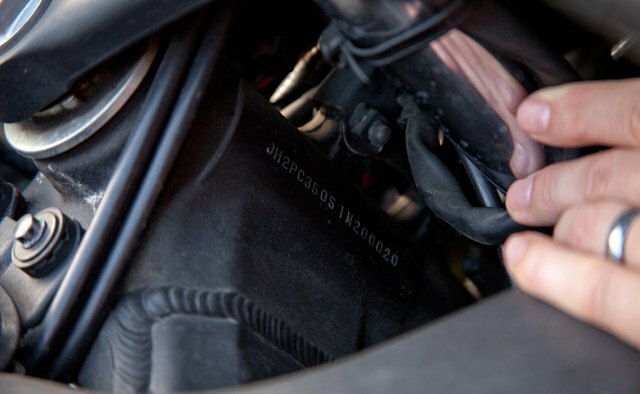 The VIN system was implemented create a standardized method of identifying a vehicle, a necessity for law enforcement departments. So what exactly does this jumble of data mean? 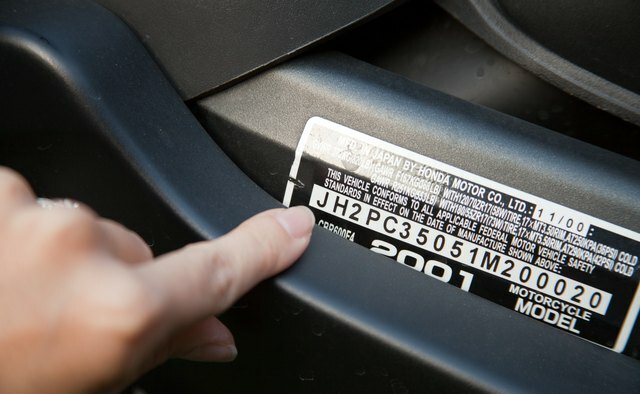 Locate the 17-digit Vehicle Identification Number (VIN) printed on the frame of your motorcycle. 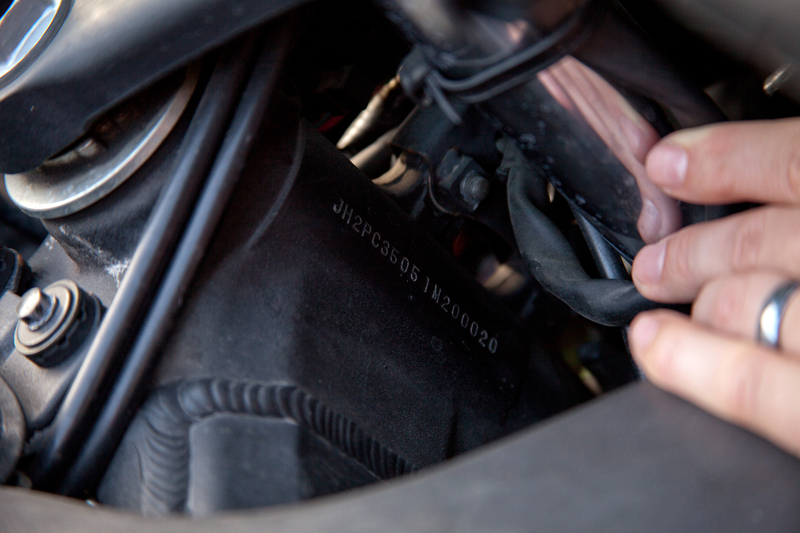 This is often stamped onto the right side of the steering head, where the front fork is mounted on the frame. 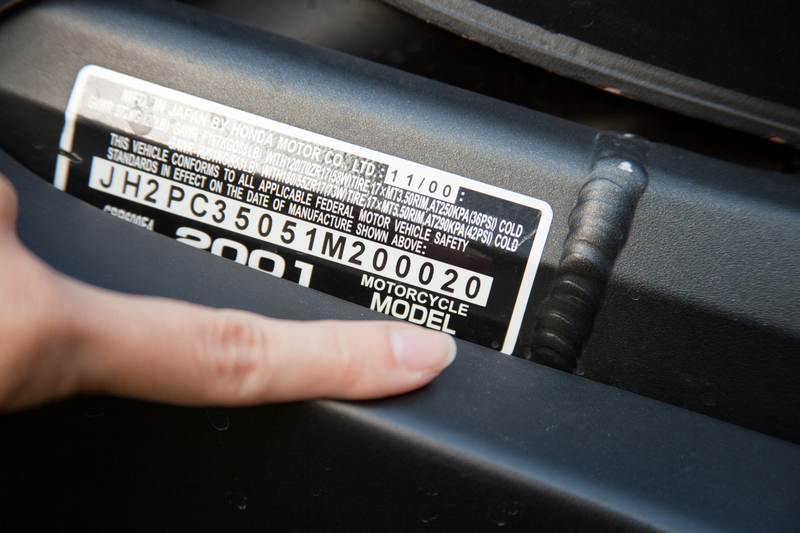 The VIN is also imprinted on a metal tag located on the left side of the frame above the motor. 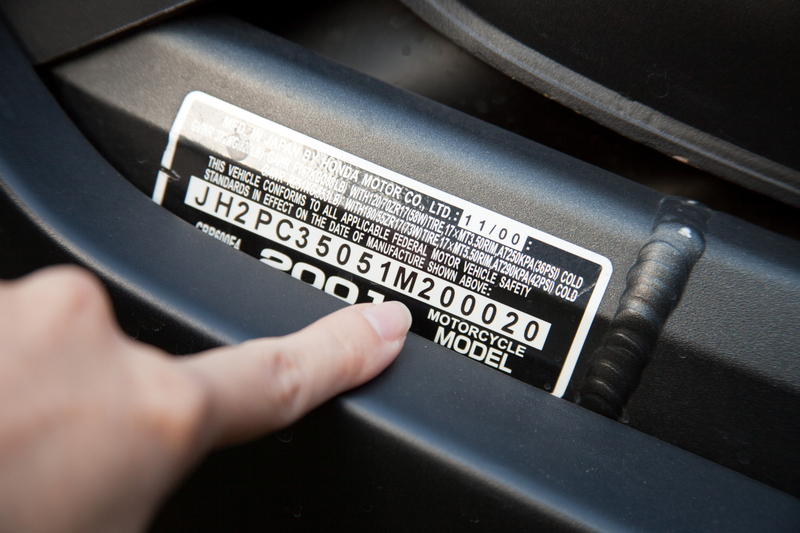 Locate the fourth through the eighth characters. 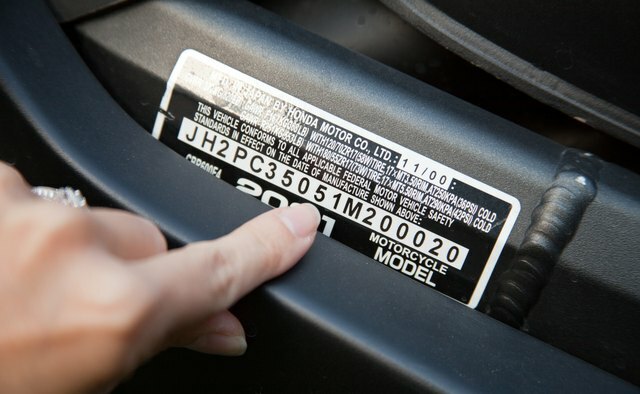 These letters and digits are used by each individual manufacturer to identify the model or engine type of the motorcycle. For example: SC57 refers to a CBR1000RR sport bike, while RC040 refers to a CB750F motorcycle. Locate the ninth character. 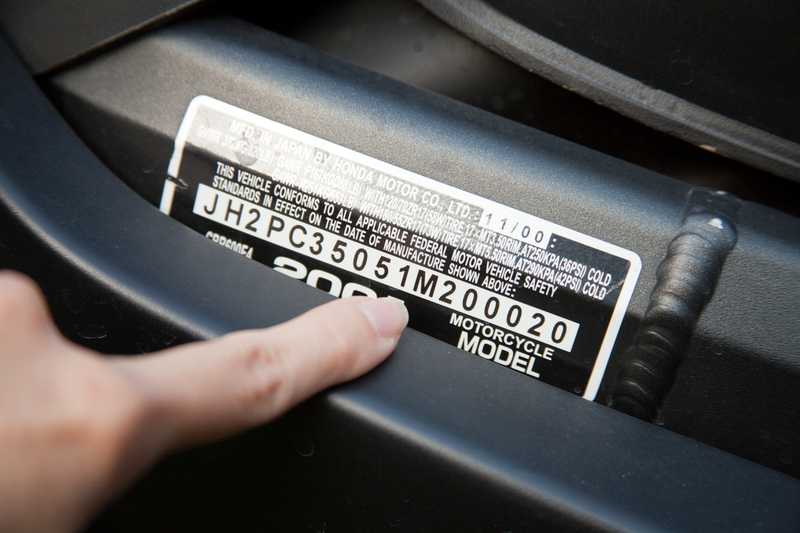 This is a check digit that ensures that no two machines built in the last 30 years will have identical VIN numbers. Locate the 10th character. 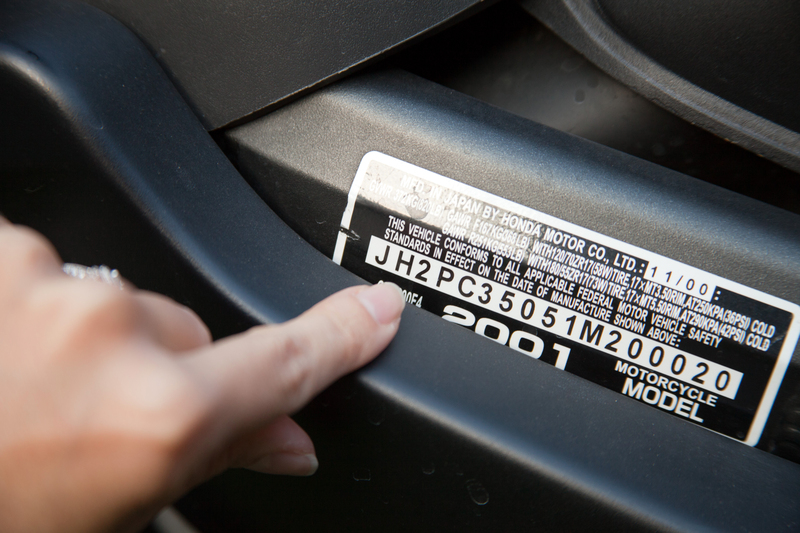 This letter or digit represents the year the motorcycle was manufactured. A "6" would represent 2006, while a "Y" would represent the year 2000. The letter code descends from "Y" to "A" (1980). Locate the 11th character. 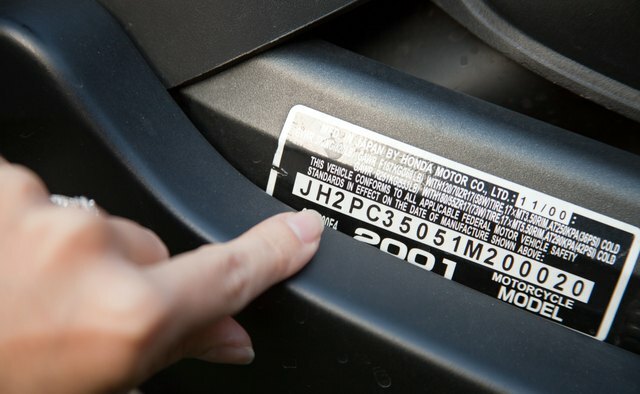 This letter or digit represents the specific plant where the motorcycle was manufactured. 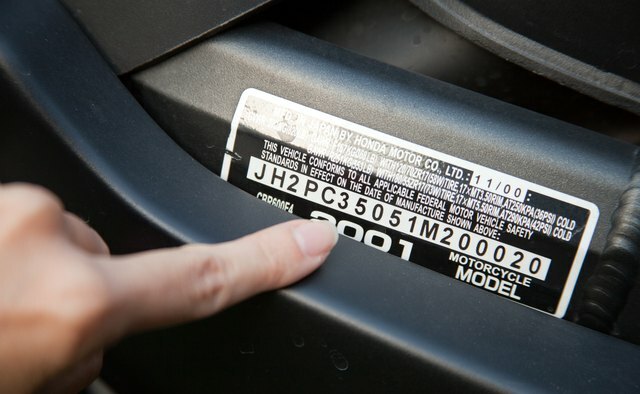 In this case, "M" refers to the Hamamatsu plant in Japan. Locate the 12th through 17th digits. 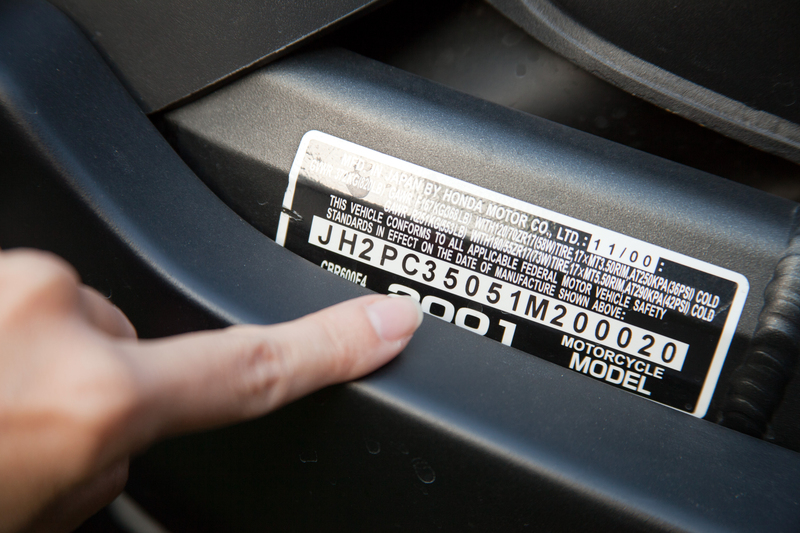 These are the motorcycle's individual serial numbers. 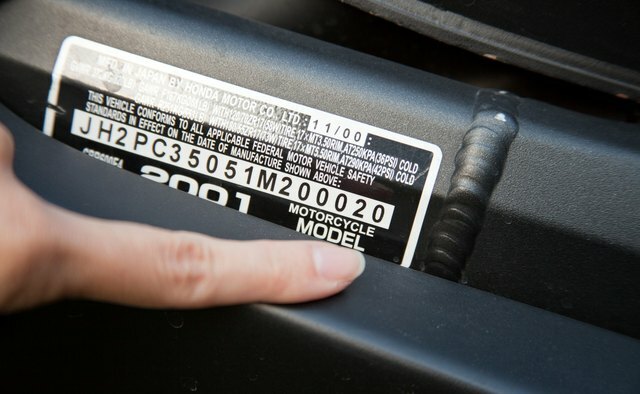 Refer to a VIN decoding website for a quick report of what your motorcycle's VIN means.